9781302902292 | Marvel Enterprises, December 13, 2016, cover price $24.99 | About this edition: Luke Cage and Danny Rand reunite in team-ups with Spider-Man and . 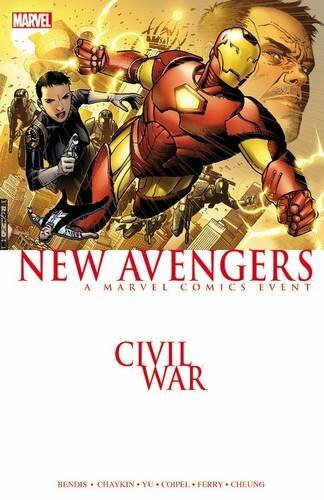 9780785195733 | Marvel Enterprises, March 29, 2016, cover price $16.99 | About this edition: Civil War has erupted across the Marvel Universe, and no team will be more affected than the New Avengers. 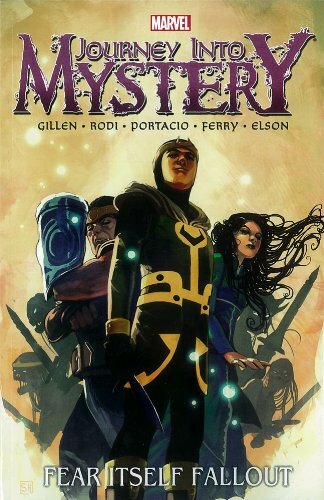 9780785185574, titled "Journey into Mystery 1: The Complete Collection" | Marvel Enterprises, March 4, 2014, cover price $34.99 | About this edition: Loki has been reborn as a child. 9781401244125 | Dc Comics, December 3, 2013, cover price $16.99 | About this edition: The Joker has returned! 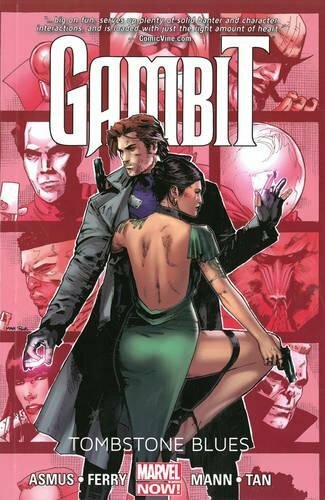 9780785166009 | Marvel Enterprises, November 12, 2013, cover price $19.99 | About this edition: Students at the Jean Grey School are missing, and a furious Wolverine and Rachel Summers intensify their search for the all-new Hellfire Club. 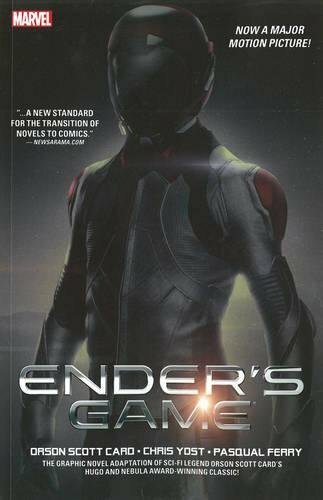 9780785185338, titled "Ender's Game: Graphic Novel" | Marvel Enterprises, September 24, 2013, cover price $24.99 | About this edition: Andrew "Ender" Wiggin is 6 years old, bullied, resented and alone. 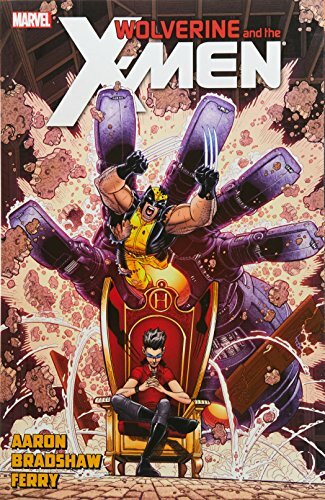 9780785165484 | Marvel Enterprises, July 30, 2013, cover price $15.99 | About this edition: The ragin' Cajun X-Man's solo adventures continue! 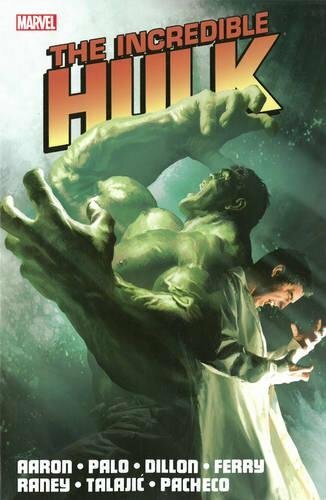 9780785161134 | Marvel Enterprises, July 9, 2013, cover price $24.99 | About this edition: The Hulk thought he was finally rid of Bruce Banner, his puny alter ego split from him and incinerated in the blast of a Gamma bomb. 9781401229641 | Dc Comics, June 19, 2012, cover price $29.99 | About this edition: SEVEN SOLDIERS is an epic tale of life, death, triumph and redemption that explores the nature of heroism and sacrifice. 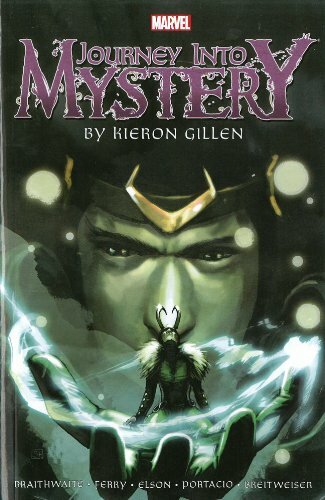 9780785152613 | Marvel Enterprises, March 28, 2012, cover price $19.99 | About this edition: Young Loki is at a severe disadvantage: everyone in Asgard remembers him from his previous life - but they're all strangers to him, and they fully intend to keep it that way. 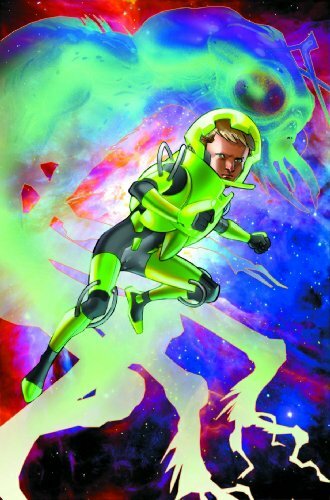 9780785163374 | Marvel Enterprises, January 18, 2012, cover price $29.99 | About this edition: Andrew "Ender" Wiggin is only 6 years old. 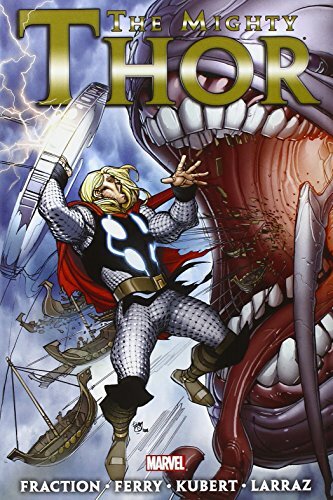 9780785148388 | Marvel Enterprises, June 1, 2011, cover price $24.99 | About this edition: In the wake of SIEGE, Asgard must take its proper place as the Golden Realm, most glorious of the nine worlds of myth. 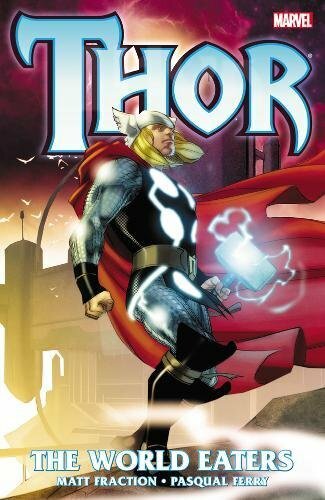 9780785148395 | Marvel Enterprises, November 30, 2011, cover price $19.99 | About this edition: Fraction! 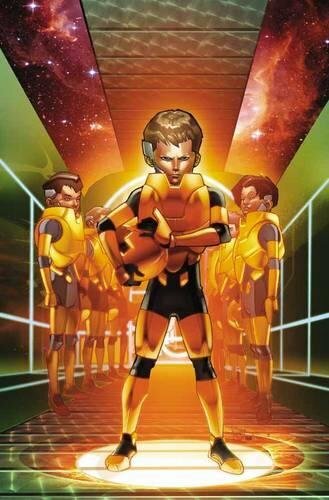 Product Description: A graphic adaptation of Orson Scott Card's best-selling second volume collects Ender's Game: Command School Issues 1-5 and follows the efforts of 9-year-old military commander Ender Wiggin to protect the human race against an invading alien force and his own teachers. 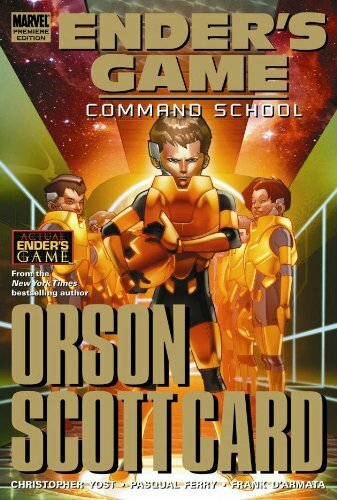 9780785135821 | Marvel Enterprises, March 24, 2010, cover price $24.99 | About this edition: A graphic adaptation of Orson Scott Card's best-selling second volume collects Ender's Game: Command School Issues 1-5 and follows the efforts of 9-year-old military commander Ender Wiggin to protect the human race against an invading alien force and his own teachers. 9780785135814 | Marvel Enterprises, June 30, 2012, cover price $14.99 | About this edition: There's a war coming. 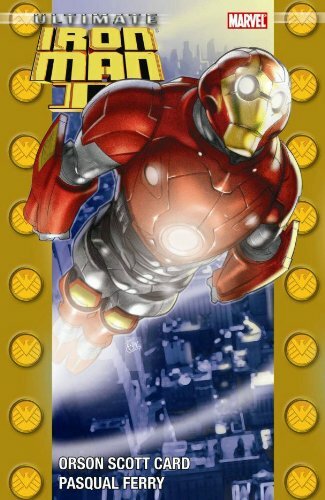 9780785129950 | Marvel Enterprises, October 15, 2008, cover price $19.99 | About this edition: The untold origin of Iron Man continues! 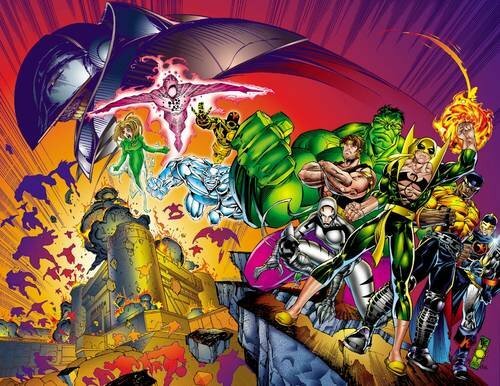 9780785118565 | Ill edition (Marvel Enterprises, May 13, 2009), cover price $14.99 | About this edition: Part of the Ultimate universe, and written by Orson Scott Card. SC, TPB, New, Price tag on rear, Used-Like New, Unread, Written by Andy Diggle. Art and cover by Pascal Ferry. Published in August of 2005. Softocver, 192 pages, full color. Cover price $19.99. 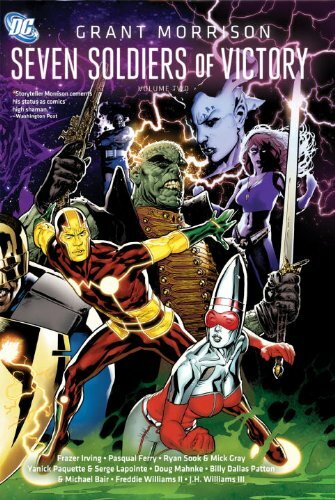 9781401207274 | Dc Comics, September 30, 2005, cover price $19.99 | About this edition: SC, TPB, New, Price tag on rear, Used-Like New, Unread, Written by Andy Diggle. Reed Richards' attempts to create a cosmic cube have caused him to pierce the barriers of a hundred universes. And falling through the opening into our unsuspecting reality is the keeper of the Power Cosmic-Ultimate Silver Surfer! 'Nuff said! 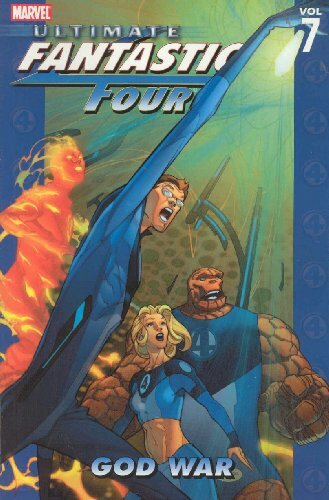 Collects Ultimate Fantastic Four #42-46. 9780785125471 | Marvel Enterprises, January 2, 2008, cover price $13.99 | About this edition: Reed Richards' attempts to create a cosmic cube have caused him to pierce the barriers of a hundred universes. 9780785128724 | Marvel Enterprises, November 28, 2007, cover price $29.99 | About this edition: Seed Nineteen - a bizarre name for the most bizarre characters ever to enter the lives of the Fantastic Four: Threshold, Fountain, Magnificent Brute, Dreamcatcher. 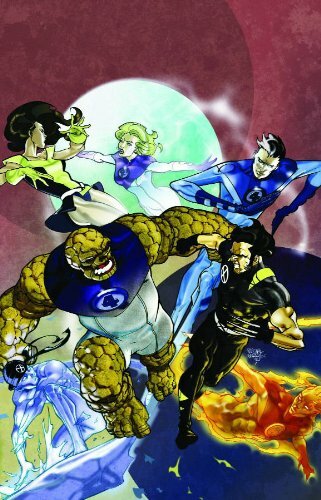 Follows the adventures of the Fantastic Four as they face Seed Nineteen, a group of bizarre characters that includes Threshold, Fountain, Magnificent Brute, and Dreamcatcher. 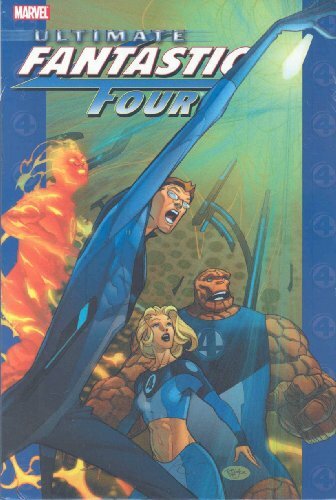 9780785121749 | Marvel Enterprises, April 11, 2007, cover price $16.99 | About this edition: Follows the adventures of the Fantastic Four as they face Seed Nineteen, a group of bizarre characters that includes Threshold, Fountain, Magnificent Brute, and Dreamcatcher. 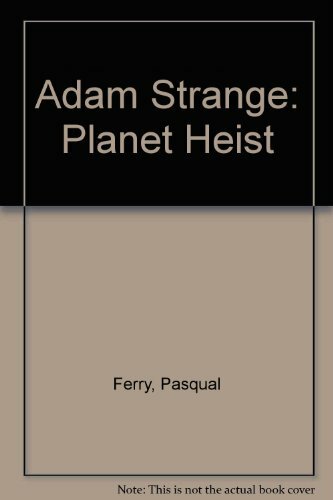 9780785122920 | Marvel Enterprises, May 17, 2006, cover price $12.99 | About this edition: Cerebro has been stolen - and the trail points directly at the government's premier think tank, the Baxter Building!